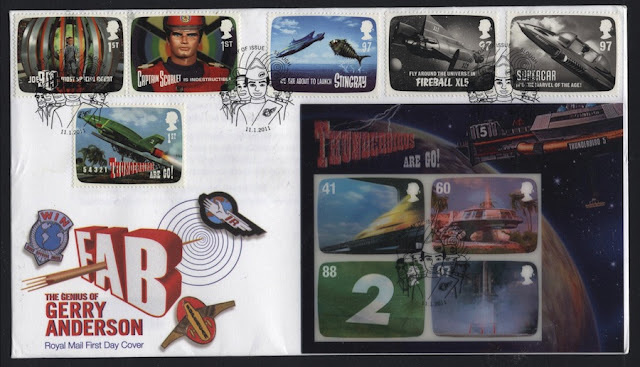 The Thunderbirds miniature sheet issued in January 2011 was notable for having lenticular images and thus being much thicker than normal stamps. Some people thought it wasn't gummed and others thought that if individual stamps were used they would be pulled off the envelope by the sorting machinery. Thankfully this didn't happen and examples exist on normal (albeit) philatelic mail. 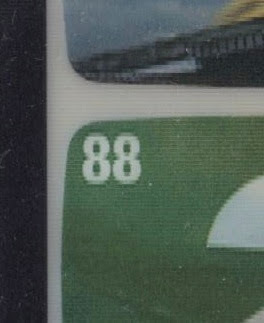 Now two years after the issue Rushstamps have reported that an imperforate miniature sheet has been discovered on a combination FDC! This sheet, like the only known mint example, was purchased on the day of issue at Tuckton, Bournemouth. The collector who prepared the cover only recently realised that he had an error when he was mounting his mint stamps and miniature sheet - and realised that the sheet was different to the one on his cover. Rushstamps will have this at Spring Stampex next week.